Fresh Homegrown Shiitake for Dinner! 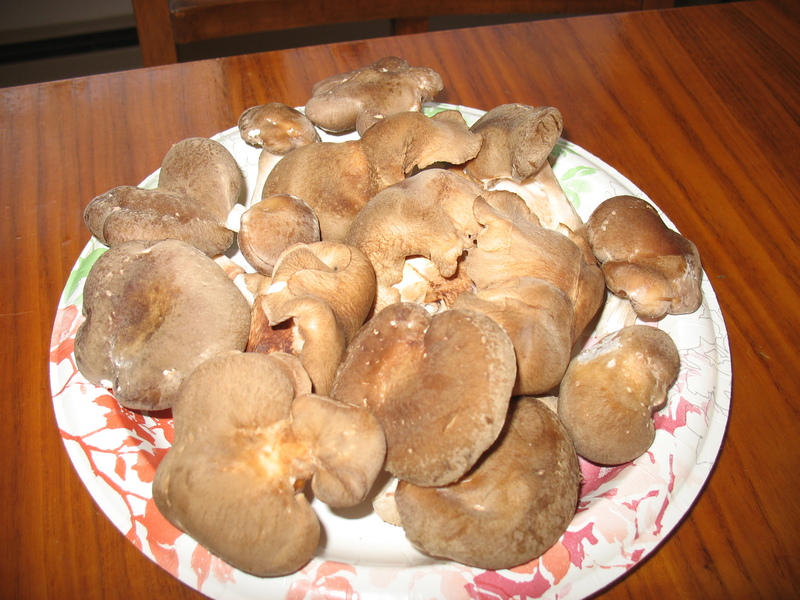 As I look out at the cold and snow, I am warmed by the thought of eating fresh mushrooms! A 60-80 ° F indoor temperature is required for this Patch. This patch will produce several flushes of burgundy-colored mushrooms over a 3 month period. Will take 1 – 2 months to begin producing. Once it is done indoors you can transfer it outdoors to produce subsequent flushes for years to come! Full instructions are included along with a toll free Mushroom Hotline for any questions you might have. The Patch is made from Alder sawdust and woodchips. Comes with a peat moss casing layer to be applied to the top of the Patch. A 55-75 ° F indoor temperature is required for this Patch. This Patch has been designed for more advanced cultivators, or for those looking for a good project to experiment with. 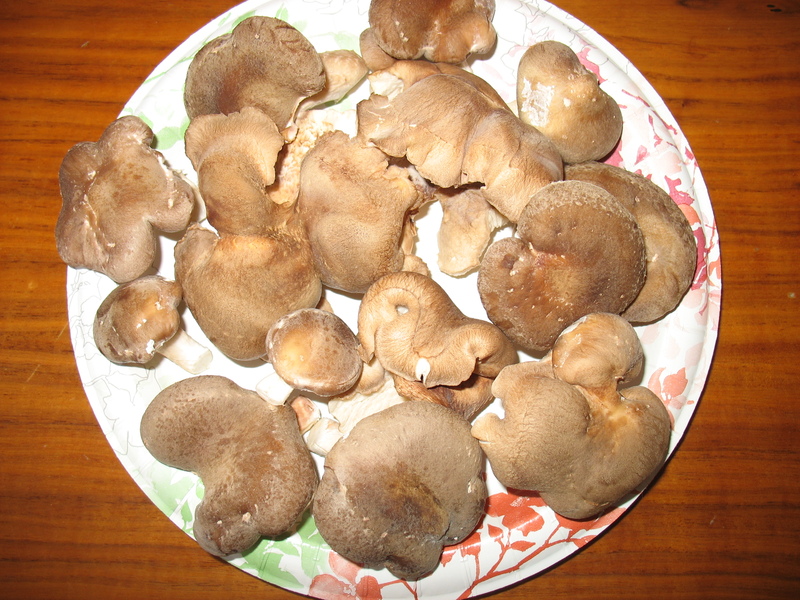 Mushrooms can vary from a white to a light grey color. The Patch should be prepared within 2 weeks of receiving. 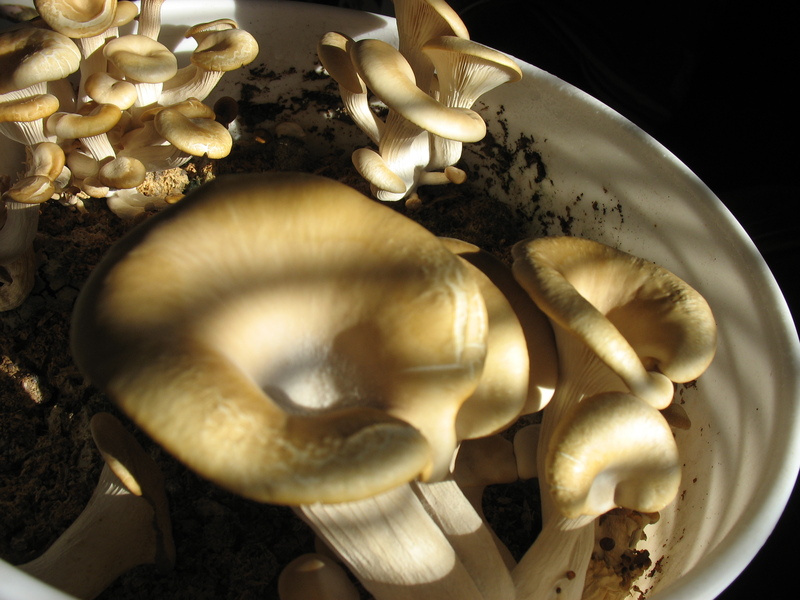 The amount of mushrooms harvested greatly depends on the type and amount of substrate used. But typically you can grow 1-3 pounds of fresh mushrooms. The Patch can be mixed with a variety of substrates including newspaper, cardboard, and straw. Full instructions with substrate ideas are included along with a toll free Mushroom Hotline for any questions you might have. A 65-75 ° F indoor temperature is required for this Patch. Patch produces shelf fungi with colorful zones. Favored by shamans throughout the ages. Have been used in teas as well as ornaments and jewelry. This Patch can provide several flushes of mushrooms. The Patch is made from Alder sawdust and woodchips. 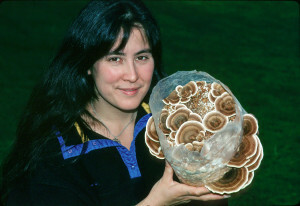 The Turkey Tail Indoor Patch is Certified Organic by the Washington State Department of Agriculture. A 50-70 ° F indoor temperature is required for this Patch. This mushroom is popular in Italy and has a mellow, attractive flavor. They are a wonderful addition to sauces, soups, and stews. The mushrooms are dark brown on top, fading into white around the edges. This Patch should produce 1-2 flushes of mushrooms. 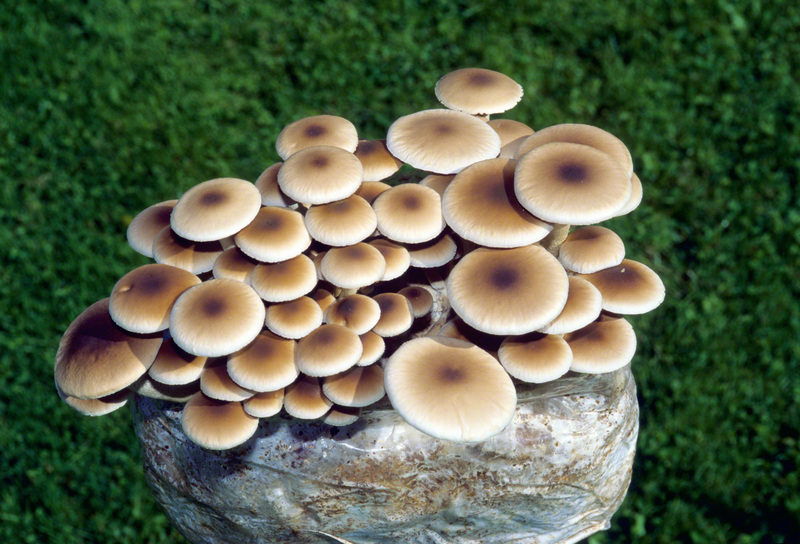 The Patch is made of Sterilized Straw and Mushroom Mycelium. The Pioppino Indoor Patch is Certified Organic by the Washington State Department of Agriculture. 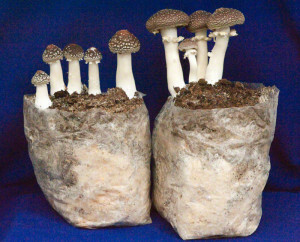 Check out these new Mushroom Growing Kits! 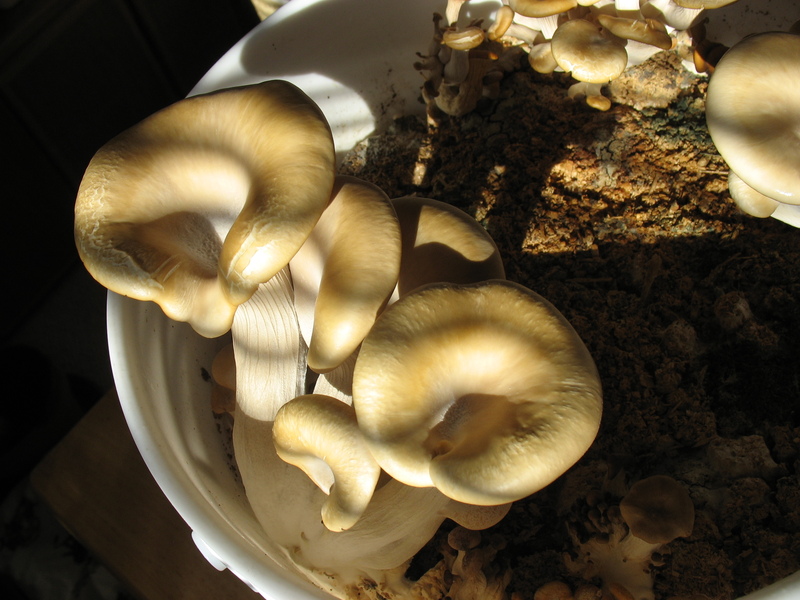 I just got to check out the shiitake growing kit from Fungi Perfecti. This was an indoor growing kit and looked like it is ready to go. Some lucky guy in my family got it for his birthday! He is a budding mushroom farmer so it was a great gift. I will keep us updated on the site as it grows. I hope to report on the eating of these mushrooms also. Shiitakes are great for us and another way to eat your medicine and like it too! You can find more kits like this one from the people at Fungi Perfecti on the link on the main page of this site. I bought the The Giant Morel Mushroom Patch™ as a gift for my dad last October. 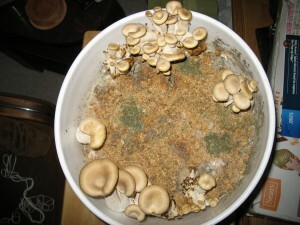 The kit is available at fungi.com (link on homepage) and is one of many mushroom kits and products available. Dad lives in Oregon now and I was curious how the kit would grow. He also loves morels and is living in a new area, so homegrown mushrooms in his backyard seemed like a good idea. Dad followed the instructions and his mushroom bed was ready before the end of October. 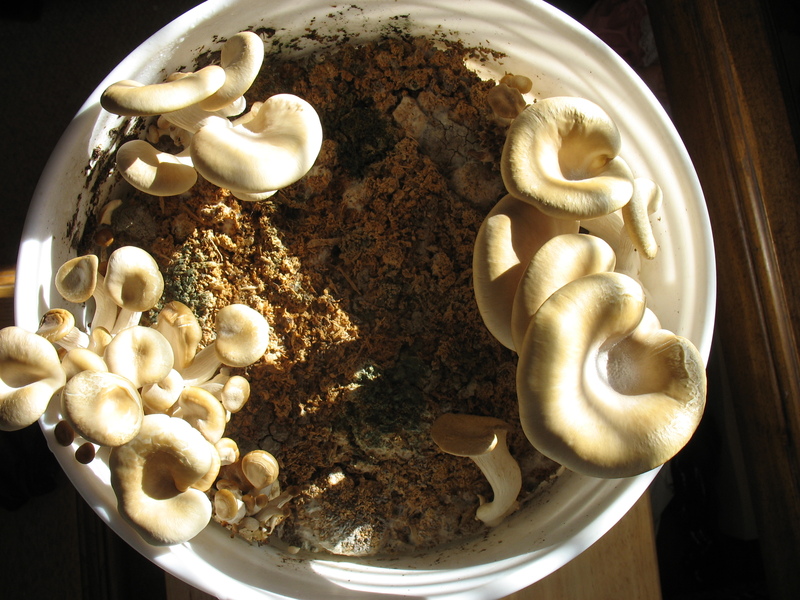 The kit can take up to 2 years to produce mushrooms, and morels are one of the tougher fungi to grow. Report from Oregon last week was the patch has produced its first morel. There won’t probably be many mushrooms to eat this year, but we know the fungus is established and growing underground. Quite a feat for a first time mushroom farmer, and when the conditions are right there will be gourmet food. 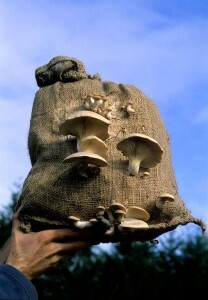 I have ordered another outdoor kit and some inoculated plugs from fungi perfecti and will report on their progress. 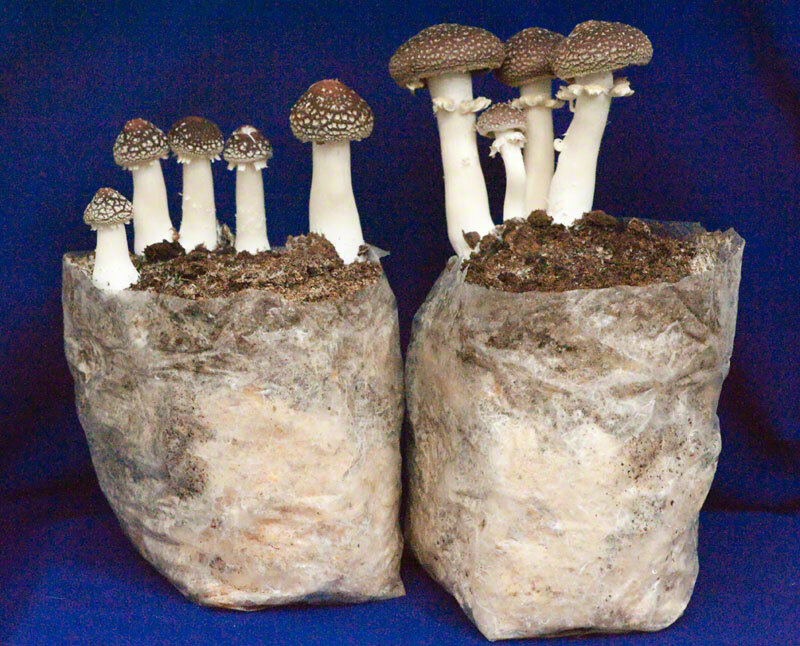 I was so impressed with the results of the The Giant Morel Mushroom Patch™ that I just ordered another one as a gift. I will report on it’s progress also as it will live in Montana!